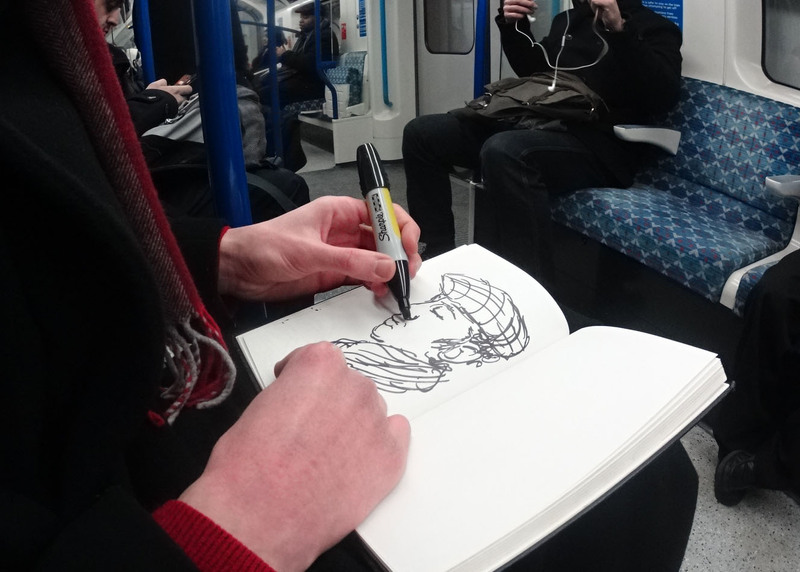 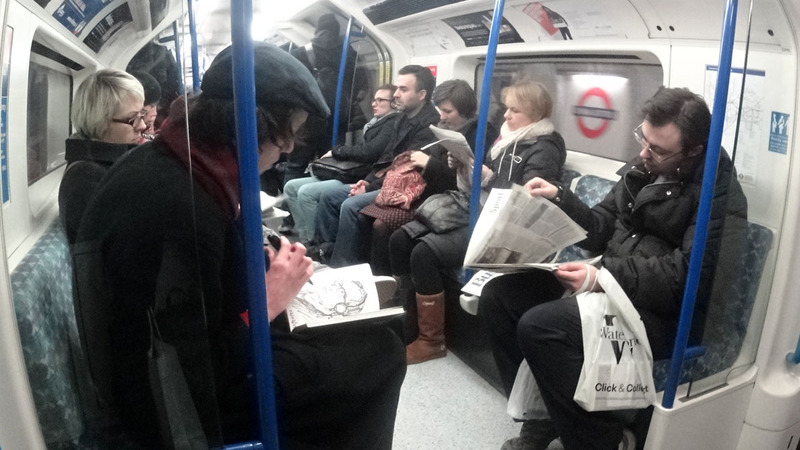 Could you draw someone in a few minutes while between stations on the Tube? 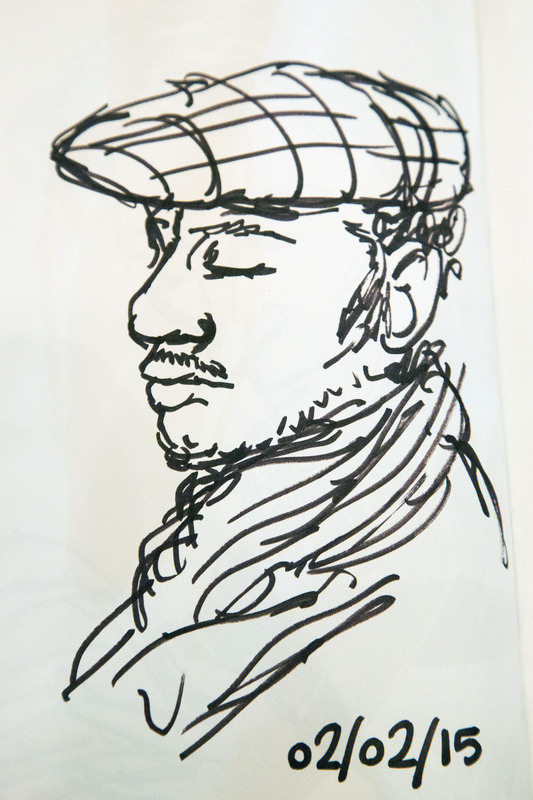 That’s what illustrator Spike Zephaniah Stephenson did when he first came to London – mainly, he says, as a way to stop himself being bored during his journey. 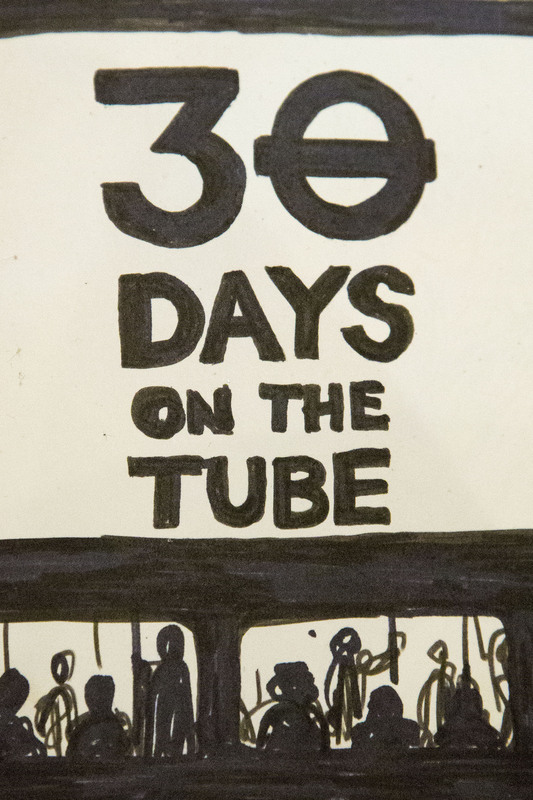 His 30 Days on the Tube series was the result, with around 30 illustrations of passengers (one a day) taking shape, the quickest of which was sketched in just three minutes. 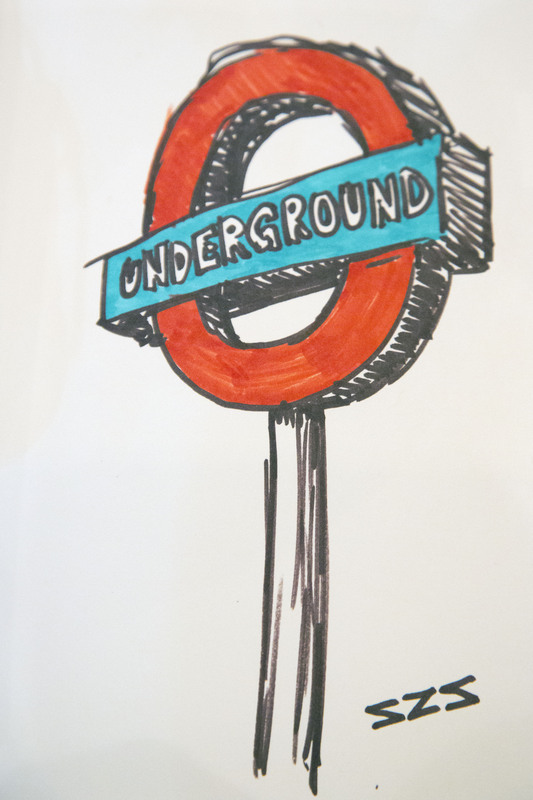 Since then he has done 30 more Tube illustrations, saying that he is drawn to certain types of faces. 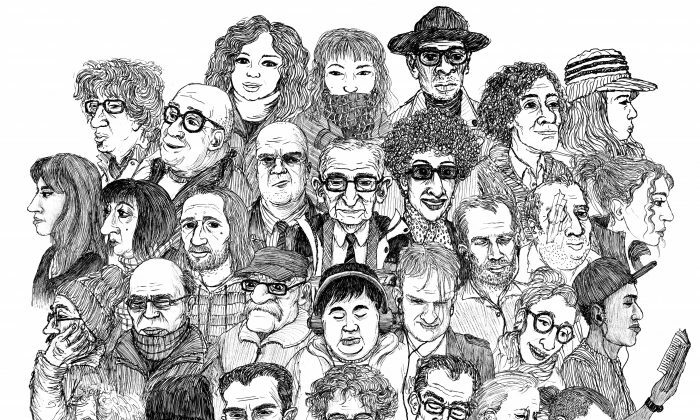 “I find old men’s faces the most fascinating,” he says. 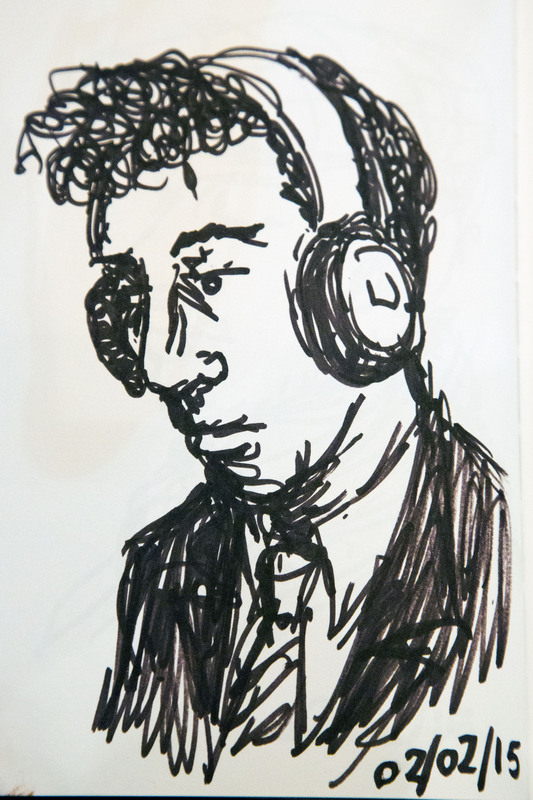 Spike is currently live sketching on Thursday nights at Betty’s Coffee Open Mic Nights on Kingsland Road in east London. 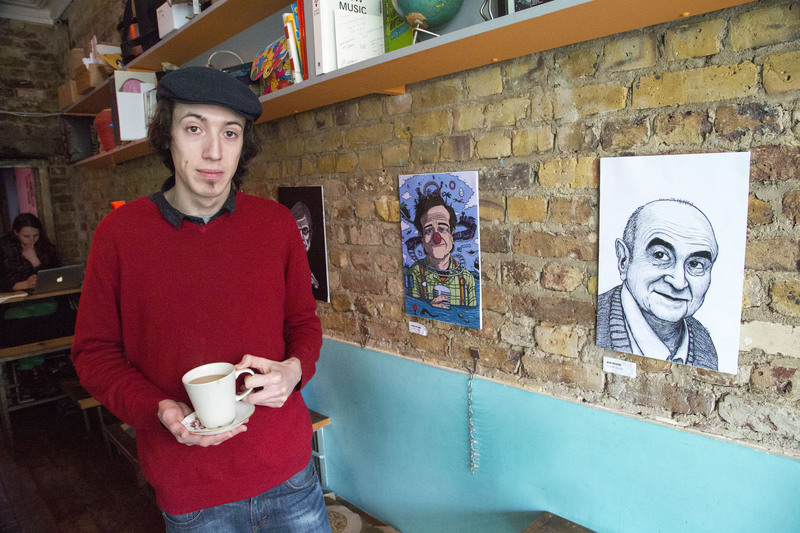 His portraits are also on display for purchase.